"The Ally is there, but only ever as a shadow, unexplained catastrophe or murder committed at the behest of a dark vengeful spirit. Sorting truth from myth is often a fruitless task." After fighting back from the brink of death, Queen Lyrna is determined to repel the invading Volarian army and regain the independence of the Unified Realm. Except, to accomplish her goals, she must do more than rally her loyal supporters. She must align herself with forces she once found repugnant--those who possess the strange and varied gifts of the Dark--and take the war to her enemy's doorstep. 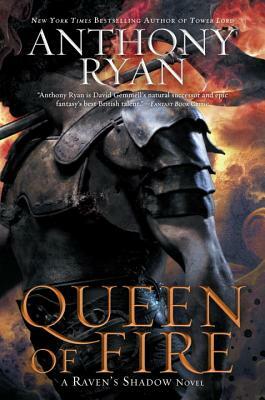 Anthony Ryan is the author of the Raven's Shadow novels, including Blood Song, Tower Lord, and Queen of Fire. He lives in London, where he is at work on his next book.